Proceeds from your bids will all go to the John L. Santikos Charitble Foundation. By placing your bid, you could really make a difference in the lives of local residents who have special needs. AUCTIONS ARE AN EXCITING PART OF THE RODEO AND NOW YOU CAN JOIN THE ACTION BY BIDDING FOR SANTIKOS SUPER STAR EXPERIENCE SEATS. And just by registering you are automatically entered for a chance to win a daily prize package that includes the Santikos Family 4 Pack. The auction is hosted by www.silentauctionpro.com. You will be directed to their site to complete your registration and bidding. 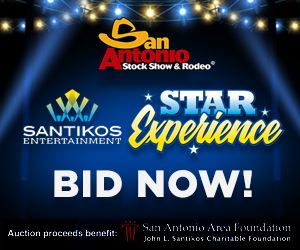 Santikos Entertainment in conjunction with the John L. Santikos Charitable Foundation have teamed up with the San Antonio Stock Show & Rodeo and KSAT12 to auction off a “Super Star Experience” for some lucky rodeo and concert auction winners! 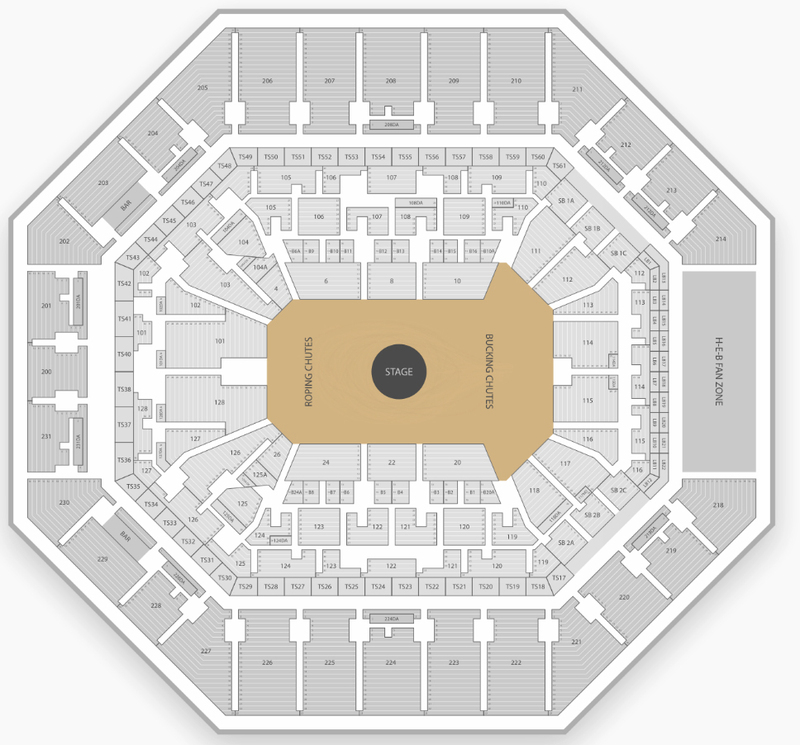 Click here to see the entire concert lineup. You can also enter your name and information to be entered into a random drawing for a Santikos Family 4-pack and 4 tickets to the rodeo grounds just by filling in your information HERE. If you would also like to place a bid on the “Super Star Experience” package, just click the “BID NOW” button and enter your information.